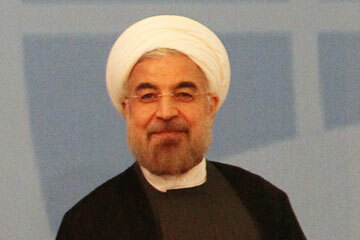 Newly-elected president of Iran, Hassan Rouhani. When the Obama administration was selling the case for military action against Syria, it used every argument it could come up with, from preserving international norms to preventing another Holocaust. Most of these were exaggerations or bad history, but one could have dangerous consequences for U.S. foreign policy. Almost every senior U.S. official--President Obama, John Kerry, Chuck Hagel--asserted in some way that we had to act militarily in Syria to preserve U.S. credibility with Iran. There is a mountain of scholarship in international relations that has carefully examined the notion of maintaining credibility--and most of it concludes that there is little gain in doing something simply to maintain credibility. Countries know that circumstances differ wildly in international relations and that what you might do in one situation says very little about what you might do in another, different situation. You really don't need to attack country A to let country B know that you're a tough guy. What credibility did the U.S. gain by invading Iraq and then persisting in the mission when it was falling apart? What credibility did it gain by escalating with troops and money in Vietnam, largely because of concerns about reputation? If Washington uses careless rhetoric, the solution is not to follow up with careless military action just to be consistent. That does not impress people. It tells them that the U.S. is proud enough to throw good money after bad. This has been a particularly bad time for Obama officials to thump their chests about credibility because for the past few months, the Iranian government has been sending remarkably conciliatory signals. These started with the election of Hassan Rouhani as President, which was a repudiation not simply of President Mahmoud Ahmadinejad but also of the ruling Iranian establishment. During the campaign, Rouhani vigorously attacked the most hard-line candidate in the race, Saeed Jalili--thought to be the favorite of the Supreme Leader--for being unable to come to an agreement with the international community and ease any of the sanctions arrayed against Iran. "It is good to have centrifuges running, provided people's lives and livelihoods are also running," he said in a debate, to great applause. Since his election, Rouhani has been sending conciliatory signals every few days. He has exchanged letters with Obama. A Sept. 4 tweet from a Twitter account said to belong to the Iranian President wished Jews everywhere a blessed New Year. He announced that the Foreign Ministry would take charge of the nuclear negotiations, wresting them from the more hard-line national-security council. He spoke of the importance of flexibility in negotiations with the West and transparency in Iran's nuclear program, which means he would be willing to allow in international inspectors. Germany's Der Spiegel has reported that he is prepared to shut down the Fordow nuclear-enrichment plant altogether in return for a relaxation of sanctions.